The general attraction of EMR and EHR solutions for a practice is three fold; Automation, Accounting Integration and Customization. Overall, these systems are designed to streamline the management of your practice to provide more efficient patient care, improved record-keeping (and data sharing), faster turn-around on billing and a customizable solution that makes it fit into any practice with little more than hands-on time and personalization. Why Your Cardiology EHR Needs to be Customized? 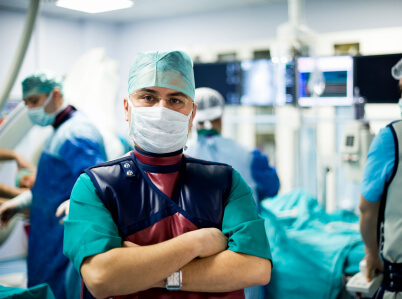 Unfortunately, if the Cardiology EMR Software has not been appropriately customized for the practice both in terms of the templates as well as the right kind of workflow, it will hinder practice productivity and ultimately revenues and profitability of the practice. Every practice has variable requirements based on their interaction with patients, procedures, tests, equipment, and more and therefore needs thr right level of customization. What does the term "Best Cardiology EMR" mean to you? If you're interested in streamlining your practice, then keep these top features in mind in order to choose the best Cardiology EMR software solution. One of the top benefits of a Cardiology EMR software solution is in the availability of an optimal number of templates. While a number of systems will offer customization, the access to customized templates specific to the cardiology practice will make it easy to integrate EMR software into any cardiology practice. Next to Neurology, cardiology is one of the most advanced branches of medical specialization. The advanced nature of cardiology requires a fair amount of specialized equipment. To improve efficiencies, quality cardiology EMR software should be designed with device integration to easily import data directly from other devices including ECG, stress, Holter, spirometer, ECHO equipment and other diagnostic and monitoring devices. .
Data analysis provides supporting diagnosis and patient monitoring that can includes areas such as cardiac output, cholesterol lipids, pacemaker functionality and more, effectively improving patient care in your practice. Because cardiac issues can often be life threatening in nature, it's important to have cardiology EMR software with alerts that trigger based on results and data being loaded that may indicate a life-threatening position. Medical offices have long sent patients home with print outs pertaining to common conditions as a means to communicate treatment protocols, wellness guidelines, laymen descriptions of medical conditions and more. The cardiology EMR software you choose should also be preloaded with documentation and educational information for the benefits of patients and staff. Any number of folders can be created in document management area of the EMR for keeping specialized scans and reports. This helps in organizing diverse document types that exist in cardiology clinics so that they are easily accessible when needed. Above all else, consider the setting in which you will use cardiology EMR software. Depending on the scale of your practice, the workflow and the needs of the patients you may find that a simpler EMR software system is all you need. 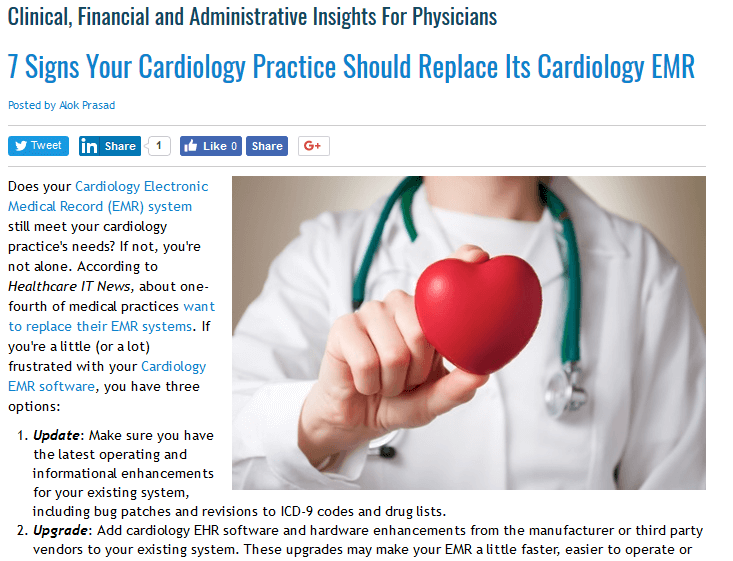 A busier cardiology practice is likely to need a wider variety of features. Examine your practice and match your needs up to the offering of the cardiology EMR software to ensure it meets your needs specifically. 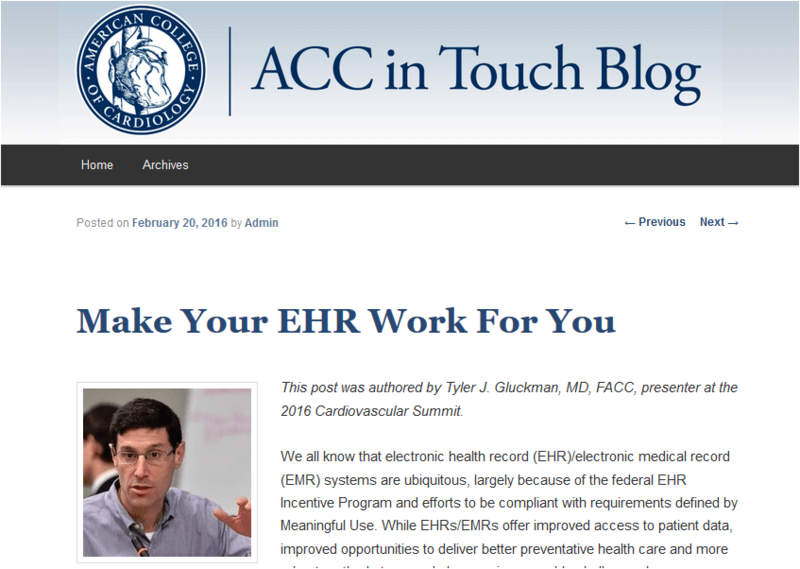 Want to Switch your Cardiology EHR? Watch our video on "Cardiology EHR Software: Top 8 Features for All Cardiologists"